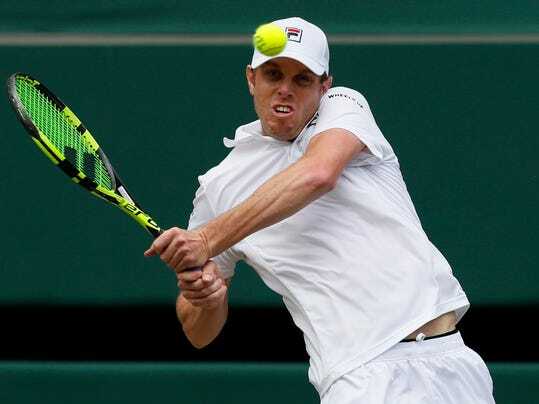 LONDON (AP) — Sam Querrey woke up Friday with a chance to become the first American man since Andy Roddick in 2009 to reach a Grand Slam final. He didn’t succeed, but he’s already looking forward to giving it another go at next year’s Wimbledon. The 24th-seeded American was a surprise semifinalist at the All England Club this year, but that was as far as he got. He lost to Marin Cilic 6-7 (6), 6-4, 7-6 (3), 7-5. The big occasion — playing in his first major semifinal on Centre Court — didn’t seem to bother Querrey as much as his win over defending champion Andy Murray a couple of days earlier. “I was actually more nervous against Andy in the quarterfinals,” said Querrey, a 29-year-old Californian….